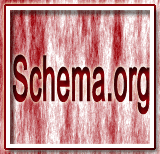 In this page, we have discussed MusicRecording type of Schema.org in detail. MusicRecording specifies that associated content is about a musical track. The following table described the properties of MusicPlaylist. byArtist MusicGroup An artist who performed the musical track. duration Duration The duration of the track. It must be in ISO 8601 date format. inAlbum MusicAlbum The album which contains the track. inPlaylist MusicPlaylist The playlist which contains the track.